O'Leary painted the female business leader as a "very emotional" woman who is unable to "separate her emotions" from her judgment. 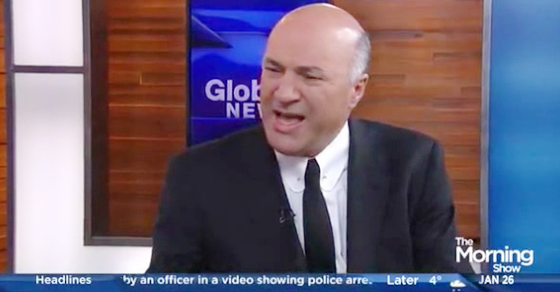 Kevin O’Leary’s bid for leader of the Conservative Party of Canada is going exactly as you expected. Appearing on Global Toronto’s Morning Show early Thursday, the Conservative leadership candidate brushed aside criticism from one of his former female Dragons’ Den co-stars, dismissing her words as the ravings of a “very emotional” woman. It’s a bit strange O’Leary would float that kind of innuendo considering O’Leary has donated to Liberals and not Conservatives in the past.